The field season has officially started in Northern NH! 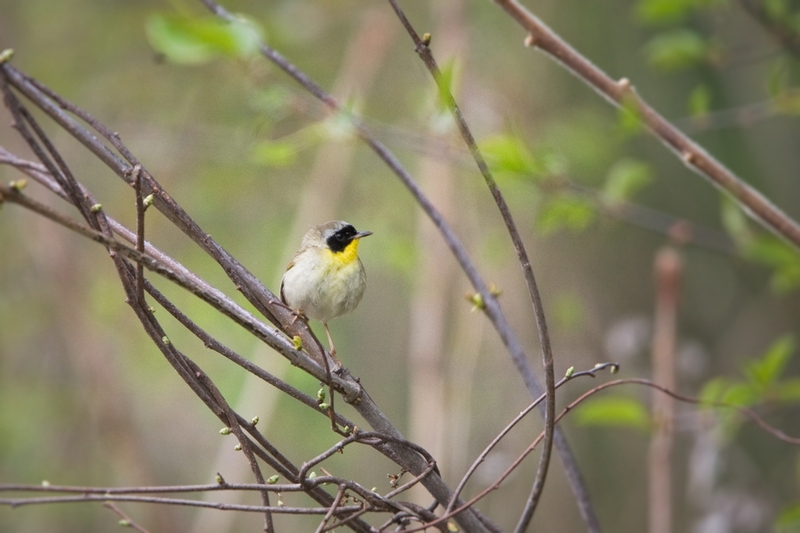 Male Common Yellowthroat warbler (COYE): This fellow is defending a small territory in a patch of open thicket. 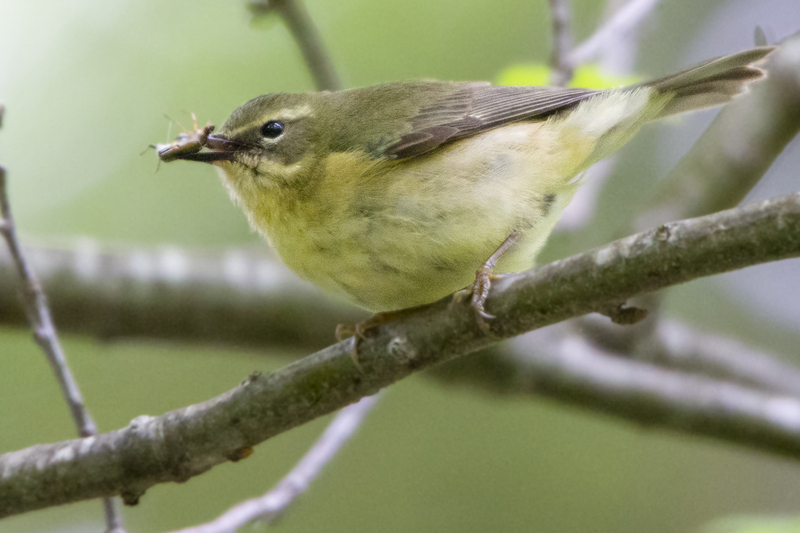 These warblers rely on early succession forest- patches of substrate that haven’t really grown in yet- to build cryptic, ground-level nests. 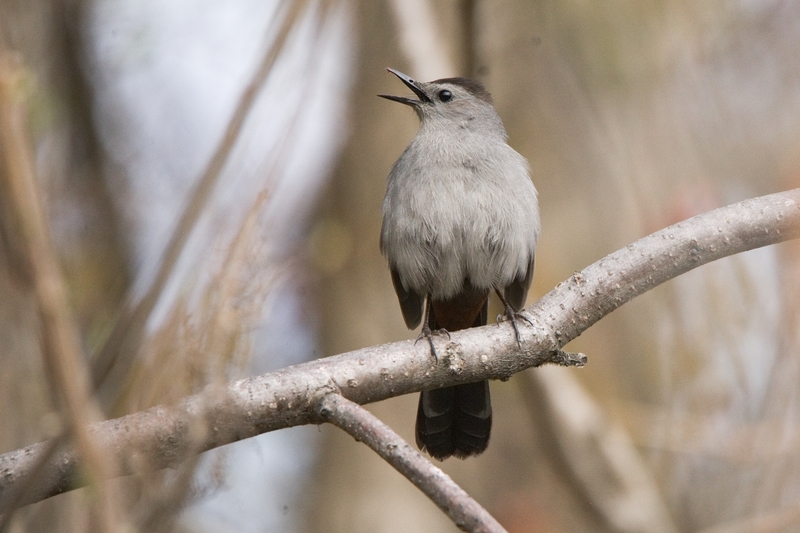 They develop complex systems to divert/confuse predators away from their nests. 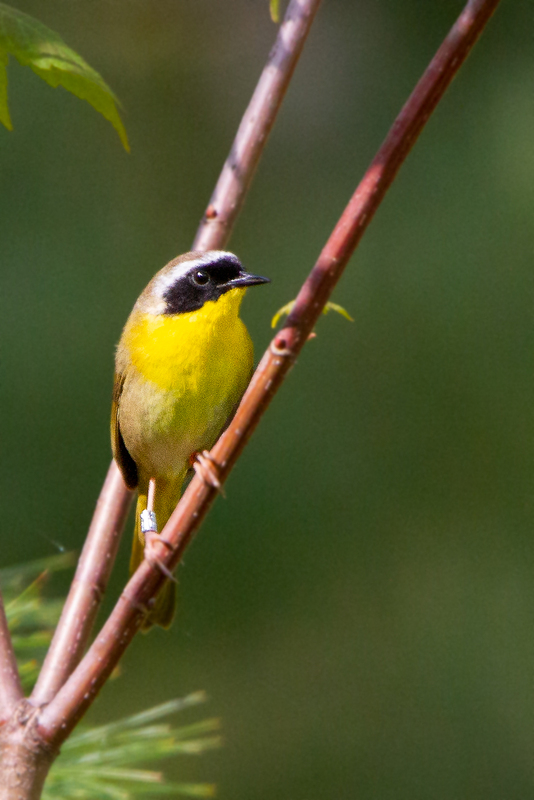 Male Mourning Warbler (MOWA): This is a rare bird here. Even more amazing, it is defending a territory in our research site- and trying to chase out a male COYE while doing so. The two species “share” resources, which means thy can’t stand each other. 🙂 Each time the male COYE sings near the MOWA, it gets berated and chased away- and vice versa. It appears the COYE isn’t budging either, probably because it hasn’t had this domestic, neighborly problem before. Breaking in the new spot. 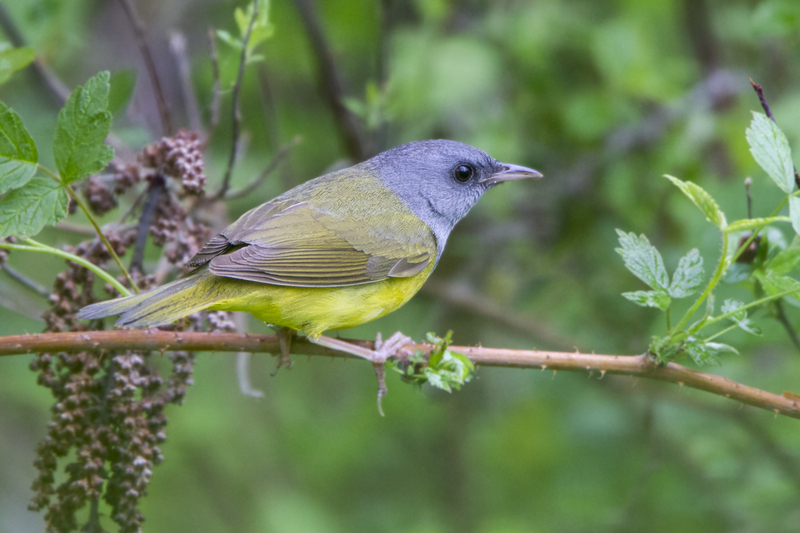 Additionally, I saw Magnolia, Yellow, and Common Yellowthroat warblers, and heard Black Throated Blue and Green warblers. 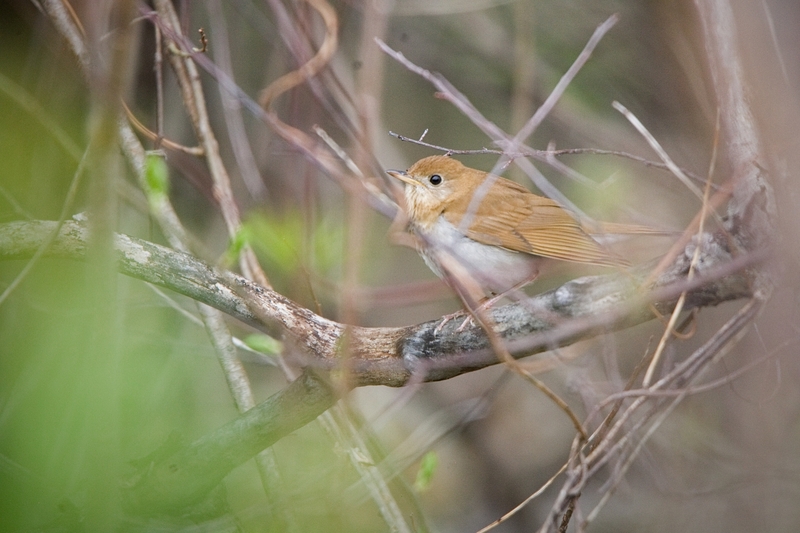 Veery, Hermit, and Ovenbird thrushes were around, in addition to catbirds. Wolf Pine @ Fox Park: Silence? I have an extremely brief update on my Wolf Pine tree; I did my loop and heard nothing. All I found was an enormous explosion of Beech leaves. Yes, a peeper here and a Phobe’s lone chip call there- but really, as the school year draws to a close, my 29th update on this area seemed to be telling me to just relax and enjoy the scene. So I did. Walking through the ‘burbs in the dark can be exciting. 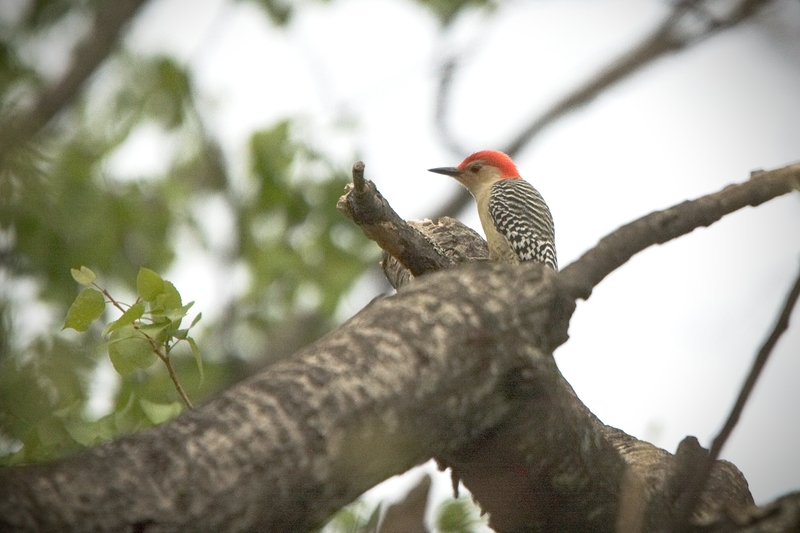 About an 45 minutes before sunrise, I walked to the base area of Fox park and found these 15 birds. While I didn’t see them, I could certainly hear them!